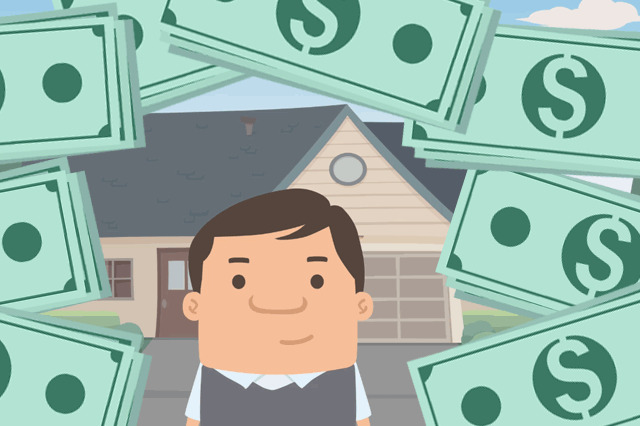 How much will your monthly mortgage payment be? That’s an important question to ask early on when you’re planning your home loan. Is it really a simple calculation of how much the loan is, divided by how many months the mortgage loan payments are required? July 15, 2016 - How much will your monthly mortgage payment be? That’s an important question to ask early on when you’re planning your home loan. Is it really a simple calculation of how much the loan is, divided by how many months the mortgage loan payments are required? For any home loan, whether it’s an FHA mortgage, conventional, etc. the answer is actually more complex. There are plenty of online mortgage calculators to help that can provide a borrower estimates of monthly payments, how much a borrower can afford, and how much they can borrow. But when using these helpful online tools, what information actually goes into the calculation of your monthly mortgage payment? The basic loan amount divided by the loan term is definitely part of the equation, but you’ll need to factor in hazard insurance, mortgage insurance premiums and other expense such as add-ons to the loan like an FHA Energy Efficient Mortgage or EEM. It’s easy to see that many things are included in your mortgage payment calculation. That’s one reason why it’s important to carefully review add-ons to the loan such as financing discount points (where applicable and permitted), the amount of an FHA EEM. In some cases, with too many add-ons, a borrower may find the mortgage payment going up too high. Unless add-ons to the loan amount are carefully monitored you may find your payments higher than you prefer. It is good to compare the cost of paying up front for certain expenses rather than including them in the loan amount. It IS possible to get a realistic estimate for your monthly FHA mortgage loan or refinance loan payments. Make sure to review home loan expenses in the planning stages of your new FHA mortgage loan; doing so helps avoid surprises where the monthly payment is concerned, and may prove crucial when budgeting for the things you do want to pay for up front.